What's the right amount of exercise? Home Uncategorized What’s the right amount of exercise? Many people think of themselves as “active” if they manage to exercise for 30 minutes daily, three or four times each week. That’s certainly more than the average person exercises! 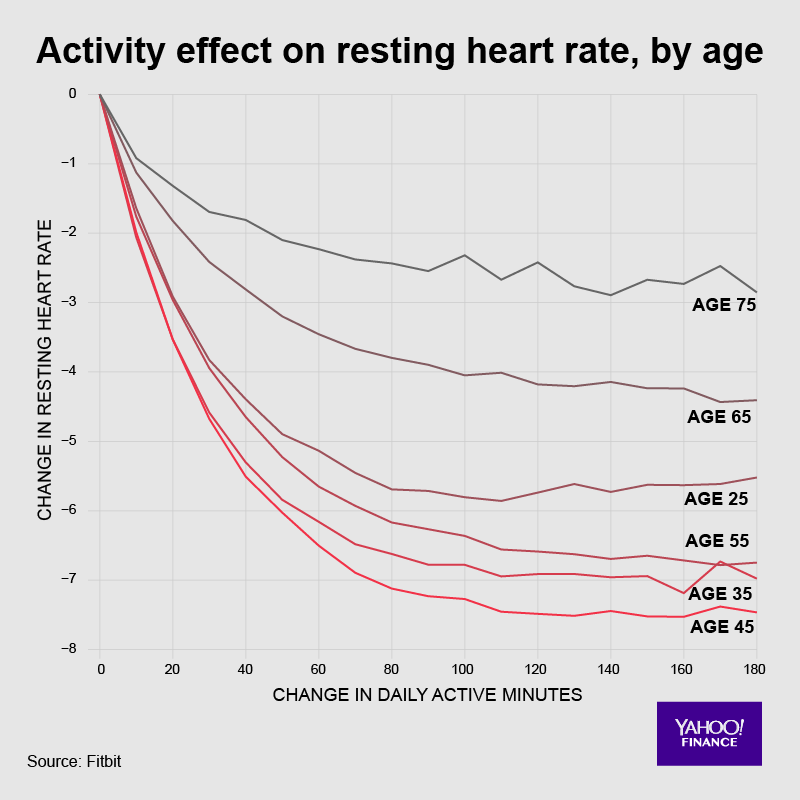 But it takes at least 80 minutes of activity per day to approach an optimal resting heart rate, which correlates strongly with a longer and happier life. That’s the finding (graph below) of a 2018 Fitbit study of a giant trove of its customers’ data. And even if you’re not aiming for the optimal resting heart rate, recent studies indicate that not exercising for just four days blocks the considerable metabolic benefits from subsequent exercise. So get out there and walk or run or cycle or swim or dance… today!